Surrey-based care home The Royal Alfred Seafarers’ Society is marking World Alzheimer’s Day (21 September) by helping to raise awareness of the disease and dementia – a symptom often linked to Alzheimer’s. In the UK there are 850,000 people living with dementia and many do not have the right support to cope with the condition. A home specialising in care for ex-seafarers and maritime professionals, The Royal Alfred Seafarers’ Society also provides dedicated care for people living with dementia within its specialist dementia annexe, providing tailored care for 36 residents. The care home, which sits within the Weston Acres Estate, also has a memory lounge containing maritime memorabilia to connect residents with their seafaring past and helps provide a comfortable place to live. Royal Alfred is marking World Alzheimer’s Day by urging members of the public to learn more about dementia, to change perceptions of the condition. The charity works with the Alzheimer’s Society and has a trained Dementia Friends Champion Mrs Ros Ellis who volunteers her time to help provide residents with comfortable living conditions as well as offering support for their families and dependents through regular events including coffee mornings. The charity also runs music therapy programmes in partnership with the Sussex University, which assess the impact music has on dementia sufferers. The sessions provide a powerful stimulus for the brain that helps to evoke an emotional response from residents and reconnects them to distant memories. Brian Boxall-Hunt, CEO at The Royal Alfred Seafarers’ Society, said: “Dementia is a serious issue within society and this will only become more important as the UK population continues to age. Care for people living with the condition and for their dependents is essential and we rely heavily on our dedicated staff and volunteers to provide an outstanding level of care for our residents. 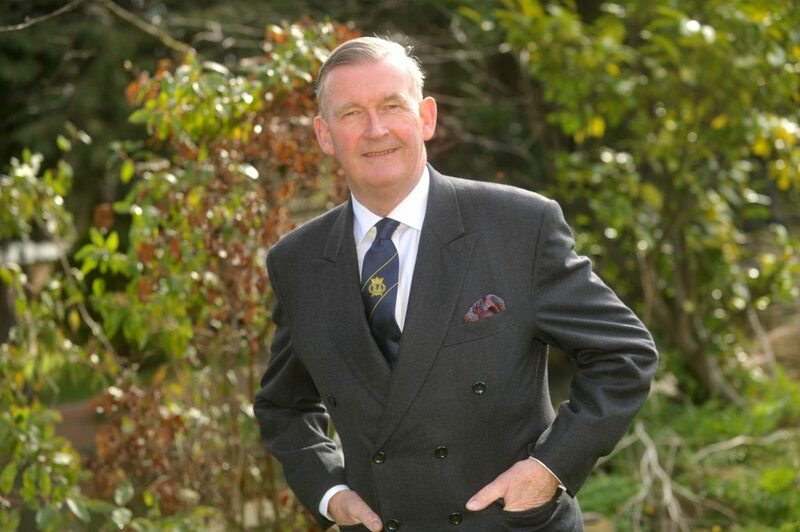 Commander Brian Boxall-Hunt, Chief Executive of the Royal Alfred Seafarers Society, which is shortlisted for a Toast of Surrey Award.